Around 8:15 p.m., an Amtrak train struck Aaron Matthew Wolf east of Sweet Bay Lane, about a mile south of San Luis Obispo. Emergency responders pronounced Wolf dead at the scene. Investigators have yet to determine why Wolf was on the tracks. An autopsy is scheduled for Wednesday. On Monday, Cal Poly officials notified students and staff that the victim of the crash was Wolf, a computer science junior. The university says counselling services are available to students 24 hours a day. 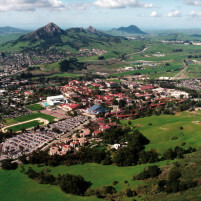 Counselling services are also available for Cal Poly employees. Wolf was one of three individuals who were struck and killed by trains on the Central Coast on three consecutive days. The other two deaths occurred in Santa Barbara County. A man who appeared to be in his 50s was struck in Summerland on Friday afternoon, and a 19-year-old woman was struck in Goleta on Sunday morning. Investigators said the Goleta incident appeared to be a suicide. Additionally, a 54-year-old woman was struck and killed by a train in San Luis Obispo last week. The woman was hit on the night of Jan. 4 near The Graduate. Train engineers are often left very traumatized by these terrible events. They can even suffer PTSD. It is a major cause of early retirement. It’s not just the accident itself it is the constant stress that the engineer experiences as they constantly anticipate a repeat of the same circumstances.